As MCN's reporters strapped their bikes to the Isle of Man Steam Packet ferry last night, one thing was clear: the credit crunch does not seem to be affecting the TT. 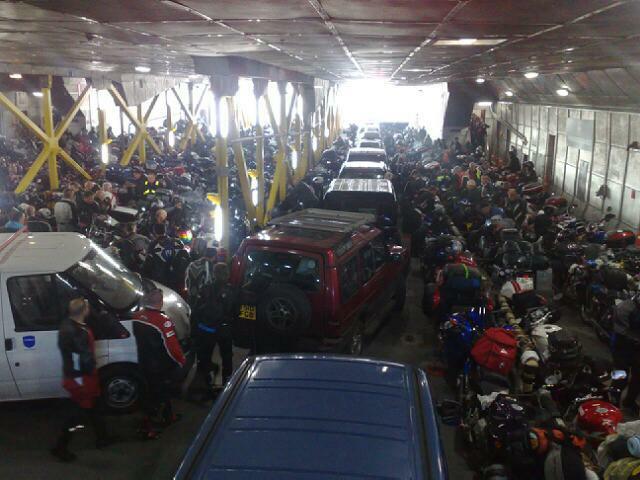 As you can see from the pic, the ferry was crammed. In fact, Steam Packet figures show bike bookings are up 6% on last year, with more cars and motorhomes too. Ferry company bosses put this down to the 'Rossi Effect'. Michael Neeves – MRO Powerbike blog: Rain, crashes and Bemsee Rookie racers.